Analysis: Prior to his departure in the third quarter, Riddick had four carries for 24 yards but hadn't been targeted by Matthew Stafford. If he doesn't return, Zach Zenner and LeGarrette Blount will finish out the contest as the Lions' available running backs. Riddick rushed three times for minus-two yards and caught four of five targets for seven yards during Sunday's 27-9 loss to Minnesota. Analysis: Splitting time with Zach Zenner and LeGarrette Blount, Riddick arguably had his worst game of the season against a stout Vikings defense that entered the game having allowed the fourth-least total yards per game in 2018. Still without either a touchdown or more than 60 scrimmage yards in any one game this season, Riddick is nothing short of a desperation play for any fantasy owners still in competition during the Week 17 season finale. Analysis: Riddick was Detroit's leading rusher in this one, though Zach Zenner had the better overall performance with 45 yards and a short touchdown on 10 carries. 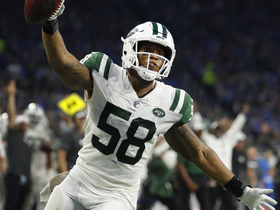 Look for Riddick to be more involved as a receiver against the Vikings in Week 16, with Detroit likely to fall behind and employ a more pass-heavy formula. Riddick rushed eight times for 32 yards and secured three of four targets for 26 yards during Sunday's 30-16 loss to the Rams. 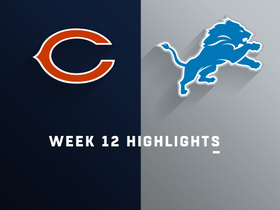 Riddick rushed twice for 12 yards and brought in all seven targets for 48 yards in the Lions' 23-16 loss to the Bears on Thursday. Analysis: As expected with both Kerryon Johnson and Marvin Jones down with knee injuries, Riddick saw a hefty workload. 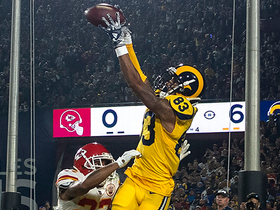 However, as customary, the majority was on the receiving end, as he paced the team in catches and checked in second in yardage through the air. Riddick's role figures to remain unchanged irrespective of Johnson's status, but a continued absence by Jones in Week 13 against the Giants will very likely lead to a solid target volume for Riddick. 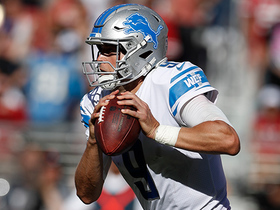 Riddick netted zero yards on his sole rush and brought in five of seven targets for 30 yards in the Lions' 20-19 win over the Panthers on Sunday. Analysis: As expected, Riddick served as a de facto possession receiver, often lining out in the slot in the absence of both Marvin Jones (knee) and the recently traded Golden Tate. Riddick's role remained the same even after Kerryon Johnson exited the game with a knee injury, and he'll likely be in for another heavy workload in the passing game versus the Bears in a Thanksgiving Day divisional showdown in four days. Riddick secured six of seven targets for 60 yards during Sunday's 34-22 loss to the Bears. Riddick (knee) didn't get a rushing attempt but caught seven of eight targets for 36 yards in Sunday's 24-9 loss to Minnesota. Analysis: Seeing his first action since Week 5, the receiving back led his team in catches. 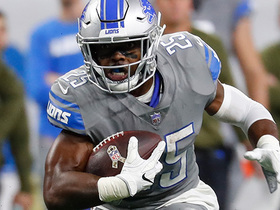 Riddick's value is limited mostly to PPR formats, but his return served as a source of frustration for Kerryon Johnson's owners, as Johnson managed his lowest scrimmage yard total (44) after emerging as a dual threat with both running and receiving skills out of the backfield during Riddick's absence. Look for Riddick's own receiving skills to be on display once again when the Lions travel to Chicago in Week 10. Riddick (knee) was a full practice participant Friday and has been cleared to return for Sunday's game at Minnesota, Dave Birkett of the Detroit Free Press reports. 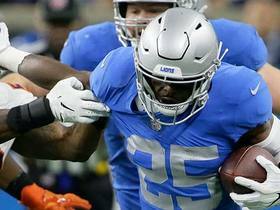 Analysis: With Riddick free of an injury designation for Sunday's game, Kerryon Johnson once again faces competition for passing-down snaps and targets. 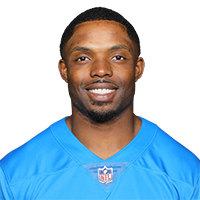 It'll be interesting to see if the Lions still keep Johnson on the field in some obvious passing situations after he caught six balls for 69 yards in last week's 28-14 loss to Seattle. The rookie has hauled in 21 of 26 targets this season, but Riddick has a much longer track record as one of the league's better pass-catching backs. Detroit Lions running back Theo Riddick speeds up the middle for 19 yards. 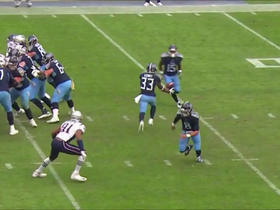 Detroit Lions running back Theo Riddick uses a nasty juke to avoid the defender and pick up 18 yards. 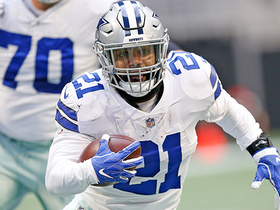 The "NFL Fantasy Live" crew break down what players will perform well and who will not live up to expectations on Thanksgiving. NFL Senior Fantasy Analyst Michael Fabiano tells you the top five players you should add off the waiver wire. 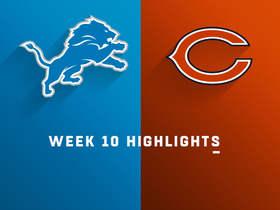 Watch the highlights from the Week 10 matchup between the Detroit Lions and the Chicago Bears. 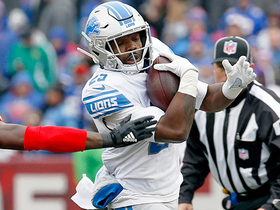 The Detroit Lions' comeback hopes are squashed after a fourth-down pass falls incomplete.